That this jacket is a straight banger also helps. Story MFG brand regularly shatter preconceptions as to what conscious clothing should be – no, it doesn’t have to make you look Amish. But this jacket is next level. 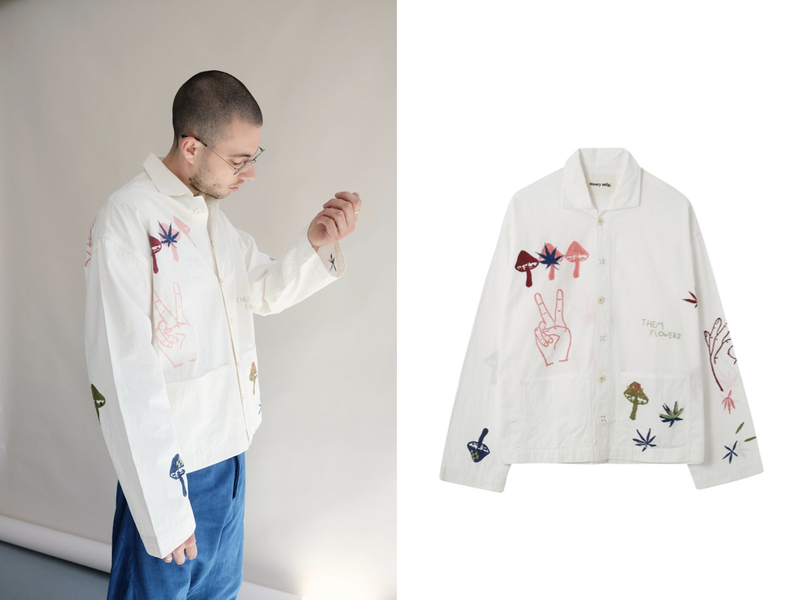 Obviously, when summer hits and one’s stylistic tendencies pivot to reflect more joyous, more hedonistic days, this jacket will come into its own. But I think, for the brave, this can be a year round piece. It’s lightweight, so it’ll slide under another outerwear layer easily. And as your top layer catches the wind, you’ll flash your rustic detail. What are you, a sorcerer? Some kind of mage? Or just a bro wearing a navy overcoat with a hippie looking jacket underneath? Some mysteries are best left mysteries. 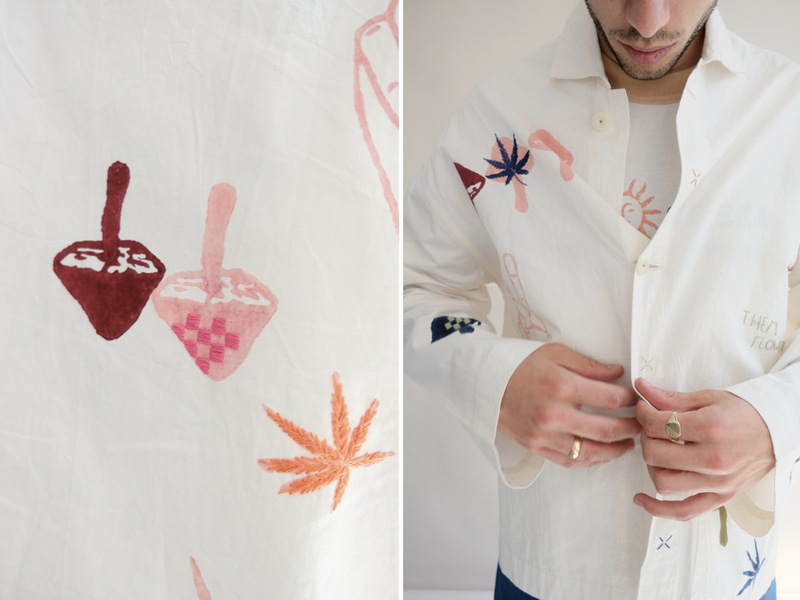 We can’t ignore the embroidery. Produced from art work by Eliza Belle and Sophy Hollington, it’s, well… it’s the best thing in the world ever. 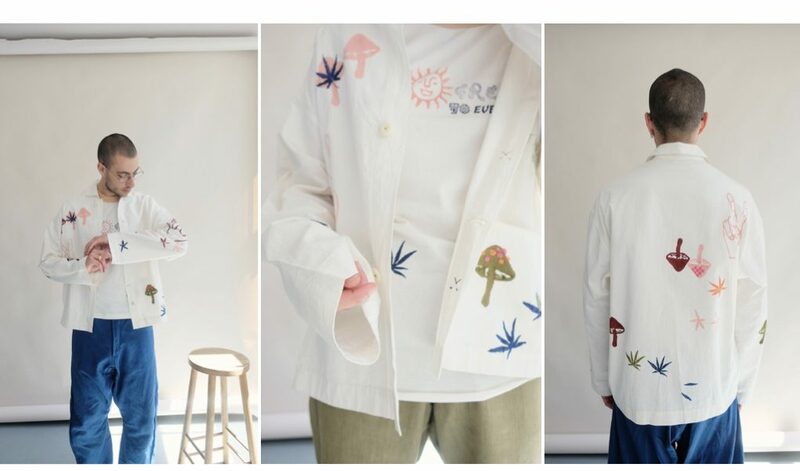 Who doesn’t want to walk about covered in peace signs and hallucinogenic fungi? I couldn’t be more about this jacket if I wanted to. Emotionally, I’m deeply invested it in. And if emotions were finances, it’d be hanging in my wardrobe right now.